Finding your craft can be daunting. Once you’ve found and mastered it, communicating it online can be even more overwhelming. 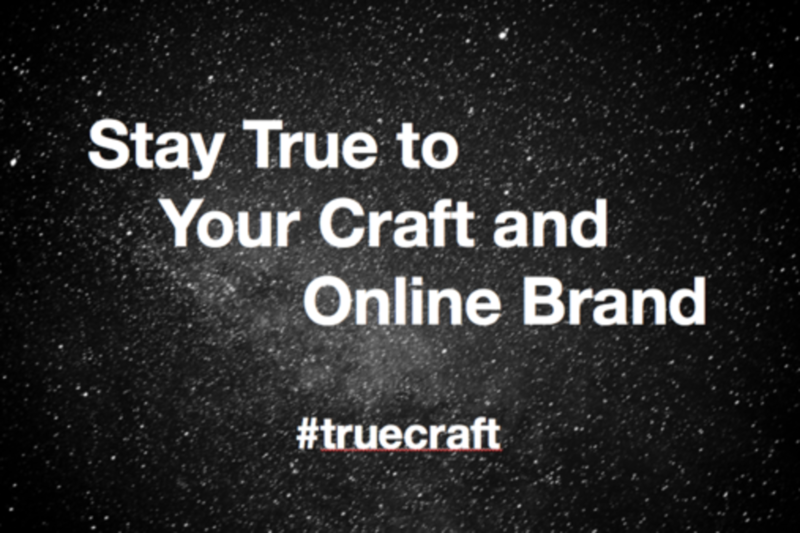 In a world with endless connectivity and possibilities, it’s easy to lose sight of the bigger picture: staying true to your craft online and off. Discover how to you tell your story in a way that truly expresses who you are and what you do AND helps you stand out in a crowded marketplace of ideas and innovations. Our panelists, from fashion, film, PR and tech, will share strategies to build your personal brand and social currency. Whether you’re doing what you love or thinking of a career change to align with it, join us and be inspired to stay true to your craft. Helen Todd is CEO of Sociality Squared, a full service social media agency based in New York City helping brands organically grow loyal and engaged communities since 2010. Among Helen’s accomplishments, she has a Master’s Degree in Integrated Marketing Communications from Emerson College in Boston, Massachusetts, has won a WOMMY award from the Word of Mouth Marketing Association, and also has work featured in the Facebook Studio Gallery which recognizes the most creative, innovative, and effective marketing that makes use of the Facebook platform. Helen has been featured on Forbes.com, AllFacebook.com and on Wired.com’s “The Hopkinson Report” in addition to being a Jay Chiat Awards judge and has spoken to MBA classes at schools like Xavier Williams College and NYU Stern Business School. James Burns, 28, didn't go to film school. He spent time in solitary confinement at age six, and was later incarcerated at an adult facility in Colorado when he was still a minor, spending years in the criminal justice system. After his release, the feature film Jamesy Boy was made based on his early life story, starring Marry Louise Parker, James Woods, and Ving Rhymes. As a filmmaker, Burns' first short documentary, We Live This, took the Special Jury Mention at the 2015 Tribeca Film Festival. In his directorial feature debut, Revolving Doors, Burns explores a world he is all too familiar with, profiling three men in Baltimore at various stages of the criminal justice system. Burns has been a spokesperson for the ACLU, and profiled on programs like Huffington Post Live and Dr. Phil. He most recently began producing his first documentary series for VICE Media, entitled Crime Pays. He resides in Brooklyn, New York. Business/Brand Advisor & Strategist @MyÜberLife Consulting Group. We build and grow businesses and movements in fashion, music, art, tech & beyond. We empower the Creative Community with business advisory support. I’m a digital/social media/communications guy with roots in PR and the creative arts. I lead custom-tailored social media and communications workshops and training sessions for organizations large and small. And I work with clients to develop their content marketing and social PR strategies. I also write a monthly column for Marketing Magazine and host the Inside PR podcast. I developed and am the lead instructor in a Digital Strategy and Communications Management Certificate at University of Toronto School of Continuing Studies and teach several courses there. I’m chair of PRSA Counselors Academy; a member of the South by Southwest Interactive Programming Committee; and past-president of CPRS Toronto. And if you want to go back far enough, I’m a published novelist/story writer (The Promised Land, Everything in Winnipeg Begins in a Car); founder of three agencies, an ex journalist/standup comedy MC/ad copywriter; and former Winnipegger.